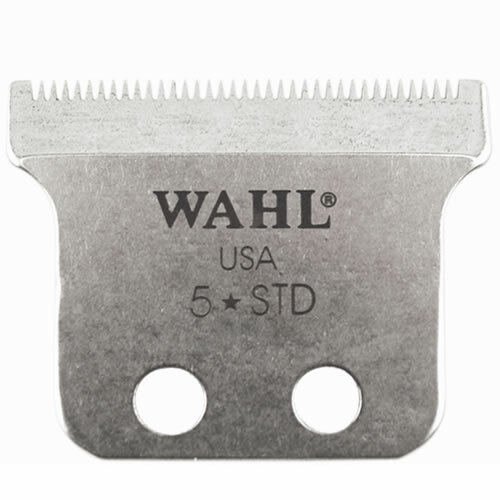 T-shaped, adjustable blade for the Wahl Hero, Wahl 8900 and Wahl Detailer trimmers. Made from high carbon steel with an anti-corrosion chrome plating, this blade has a cutting width of 32 mm and a cutting length of 0.4 mm which can be adjusted down to zero overlap. It's the blade supplied with the Hero and 8900 and was the blade supplied with the Wahl Detailer up until mid-2015. Comes with oil and a set of screws. Part no: 1062-1101 (replaces 1062-600). 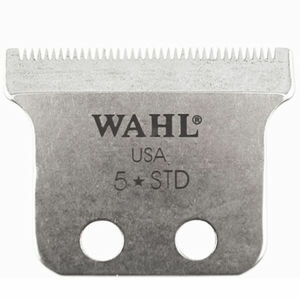 Looking for the new wide Detailer blade? Find the extra wide T-blade here. £17.39 (inc. VAT) Why no VAT? We're a trade wholesaler and quote our prices without VAT to help our VAT-registered customers understand the true cost of a purchase. Contains blade adjustment tool, oil, cleaning brush and 3 yellow trimmer combs: #½ (1.5 mm), #1 (3 mm) and #1½ (4.5 mm).